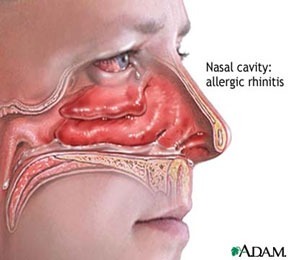 An allergy to environmental elements will produce symptoms including sneezing, watery eyes, red eyes, itchy nose, scratchy throat, puffy eyes, post nasal drip, and often sinus pain or pressure. 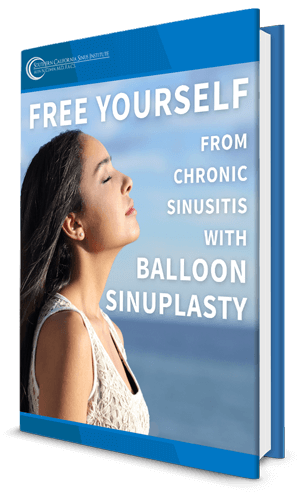 Unfortunately, because the environmental allergens irritate the delicate passages of the sinuses, allergies often lead to recurring sinus infections or ear infections. In extreme cases, patients may develop asthma as a result of environmental allergies. The first course of treatment is often to reduce exposure to the allergens. This may involve using air conditioning versus having open windows, regularly washing bedding and household items in hot water, and installing HEPA filters in your home. If the reduction of exposure does not alleviate your symptoms, Dr. Cohen will likely prescribe medical treatment which involves antihistamine medications and occasionally intranasal steroid sprays. In severe cases of environmental allergies, Dr. Cohen may institute allergy shot treatment. Dr. Cohen, founder of the Southern California Sinus Institute has helped thousands of patients throughout greater Los Angeles to get a reprieve from environmental allergies. Contact us today to schedule a consultation to begin working towards relief from your allergies.